Shopping online may be common enough culturally that most consumers don't even think of it on the surface. For retailers, the move to ecommerce is an important one, with possible repercussions for how businesses take advantage of current technology. Back in June, the United States Census Bureau released statistics on the rise in the "electronic economy" as of 2014. According to this brief, the total amount of electronic sales for retailers in the U.S. in 2014 grew by more than 14 percent over the previous year, equaling $298.6 billion. While they only made up 6.4 percent of the amassed retail sales for the year, it did make an impact in multiple different sectors as well. The manufacturing, wholesale trade, retail trade and selected service industries all saw the percentage of ecommerce that made up their entire sales increase, even if it was by less than a full percentage point. Of these, manufacturing saw the biggest improvement, with ecommerce growing to account for 60.9 percent of it in 2014. For companies in these different fields, the spike in online orders may disrupt shipping and logistics processes. Brands that bank on in-person transactions might need to adjust to take these new statistics seriously and create a new strategy. This could push some of the biggest names in certain spaces to approach ecommerce with a new lens. This month, Fortune reported on Costco, which has traditionally fallen behind when it comes to online sales. To counter this, the company is taking new measures to appeal to online buyers, specifically revamping its website for a better experience and adding shipment tracking to help entice customers. The changes are poised to not just impact the customer side, but the distribution centers and other elements which drive basic shipping on the company's end. Fortune also featured comments from Richard Galanti, Costco's CFO, who referenced the company's slow path to change in a conference call. "We're clearly taking the offense," Galanti said. "Again there are some things that perhaps we should've done earlier but we're already seeing some improvement," he also stated. However, Galanti showed some restraint in his vision of what the future looks like for Costco, with a more realistic plan instead of a drive to be a completely online store. This could be an important model, since it shows that businesses don't have to become completely digital to still take advantage of the new dynamic. Either way, embracing strategic sourcing can add options to a company in need of new, efficient ideas for finding supply chain solutions. The Department of Commerce's figures for 2016 also show an increase. 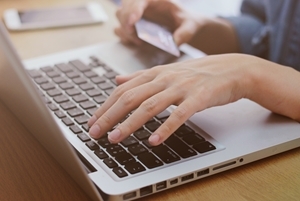 A Nov. 17 statement said that this quarter saw retail ecommerce sales increase by 4 percent from the middle of the year, when adjusted for seasonal variation. What's more, the source mapped out the trend of quarterly retail ecommerce percentages over the years and saw a general trend upward, even when not adjusted, steadily heading toward 9 percent of the total and perhaps higher. To build a new, well-crafted supply chain, businesses can use purchasing management to help control their actions. Why don't companies look closer at disruptions? How IoT can revolutionize supply chain. How Can I Minimize the Cost of My Design? Amazon Go - The Next Great Disruptor? New MacBook Pro: Was it worth the wait?